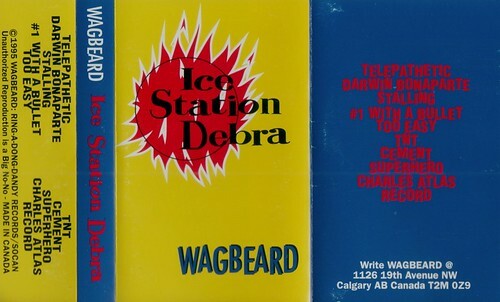 We really didn't know this gem existed on tape until a couple of weeks ago, when Steve Elaschuk dropped the CCPS a note to let us know he had a bunch of tapes he wanted to share. We're not sure what more we can say about Wagbeard that hasn't been said before (other than, of course, they were no Brass!). 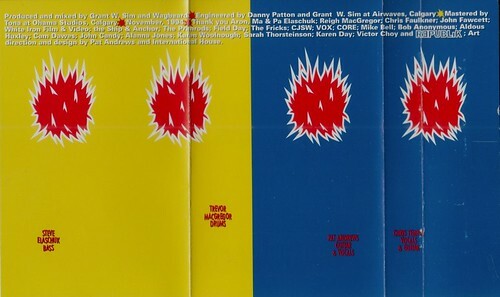 Oh, we can say this: somewhere between the first tape we posted and this, Chris Faulkner split to join the Primrods and the drummer's seat was taken over by Trevor MacGregor, who would go on to play in Treble Charger. Hell, while we're at it, we'll say one more thing. Steve Elaschuk is the Kevin Bacon of the Calgary scene. I'm pretty sure any band can trace themselves to two or three steps removed from Steve. And that includes you, Brass. We're not done! One more thing! The physical tape lists the date as 1995, the sleeve says 1995. We're going with '95. We're not going to include a download link for this, because if you didn't get the CD when it came out, you can pop onto iTunes to download it.